It's the, "You Might Be A Worm Farmer" famous quotes page Inspired by Jeff Foxworthy's you might be a redneck one-liners. OH... For The Love of Worms! Ask any worm farmer, "What is worm farming" and they will most certainly reply, "You got ALL DAY?" Just like most pets, when we take care of them, they take care of us. 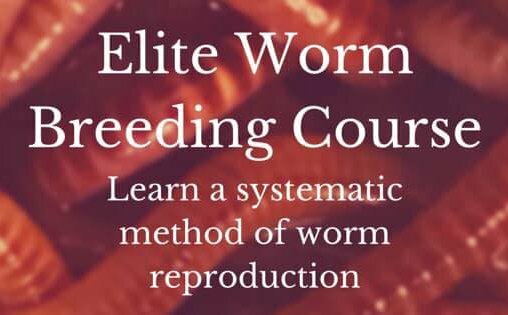 Worms = Healthy plants with lots of yield! As a matter of fact you'll see me, in one of my videos, making out with a worm (not literally...but kind of). I just can't explain the relationship between the worm and the worm farmer but that it's inseparable and when you become a "worm head" you'll realize it too. You Might Be A Worm Farmer One-Liners Contest. I'll post a video on this page showing the raffle drawing. This is the only way to know if you did not win. If you DID win then you'll hear your name (or city/state if anonymous) in the video. I'll also email you to congratulate you and get your address for the delivery of worms. Video will be posted on 14th or between 14th-16th. Sorry but I have a job too and will get to the drawing ASAP. Thanks for playing everyone! And I'll see you right here! 1. "If you spend more time with your worms than your family, then you might be a worm farmer." 38. If you look forward to cleaning out your refrigerator, you might be a worm farmer. 39. If you empty a room just for bins you might be a worm farmer. 40. You might be a worm farmer if you still buy your fishing worms from Walmart because your "stock" is too precious- I mean- my wormies trust me- I cant bear putting them on a hook! 42. If you carefully sweep up spilled sugar and not put it in the trash, you might be a worm farmer. 43. If talking dirty to your husband in bed is all about your worms, you might be a worm farmer. You cry or get teary eyed if a you see a dead or dying worm, which happens to me a lot. You find a worm stranded somewhere in risk of dying and place it back into the soil even if it makes you late for an appointment. Yes, I do this too. At any time people are staring at you because you're carrying worms around with you (my teachers were so upset when I did that). You know what it means to dream of worms, you can bet I know! Your document files only contain S, ~, 8 and W because they all remind you of worms and make you think of your worm farm back home. You call in sick to stay and play in the dirt and catch all of the worms you find. You freak'n loathe the movie "How To Eat Fried Worms" (yes, I saw the trailer and threw up, and no, not because they were doing something gross). You cringe whenever someone mentions "the early bird gets the worm" and you flip them off then scream obscenities at them and beat them up for insulting worms. Your favorite game is the worm/snake game but you always refer to it as the "best game in the history of humanity". Other "You Might Be A Worm Farmer"
If you go dumpster diving for bags of pulp from your local juicer, you might be a worm farmer. If you stop your mom from throwing anything green into the garbage, you might be a worm farmer. If you get excited when the neighbors leave bags of veggie scraps and coffee grounds outside your door...You might be a worm farmer. If your out in the pouring rain with a flashlight trying to rescue stray worms...You might be a worm farmer. If you can't wait for the flowers, that your husband brought home, to die so you can put them into the worm bin...You might be a worm farmer. If you're more concerned about the maturity of your worm castings than your 16 year-old son...You might be a worm farmer. If you have the best method in the world for getting rid of fruit flies...You might be a worm farmer. "If you'd rather be fed to your worms when you die instead of buried or cremated, you might be a worm farmer"